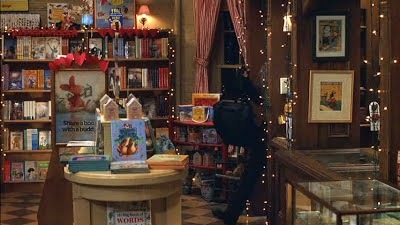 I have always wanted to own a children's picture book store, somewhat like Meg Ryan's The Shop Around the Corner (in the classic romance movie You've Got Mail), with gorgeous, illustrated books lining the shelves and cosy throw-lined sofas for reading corners. There is something about a good picture book which makes you smile and lifts your spirits on a dull day. 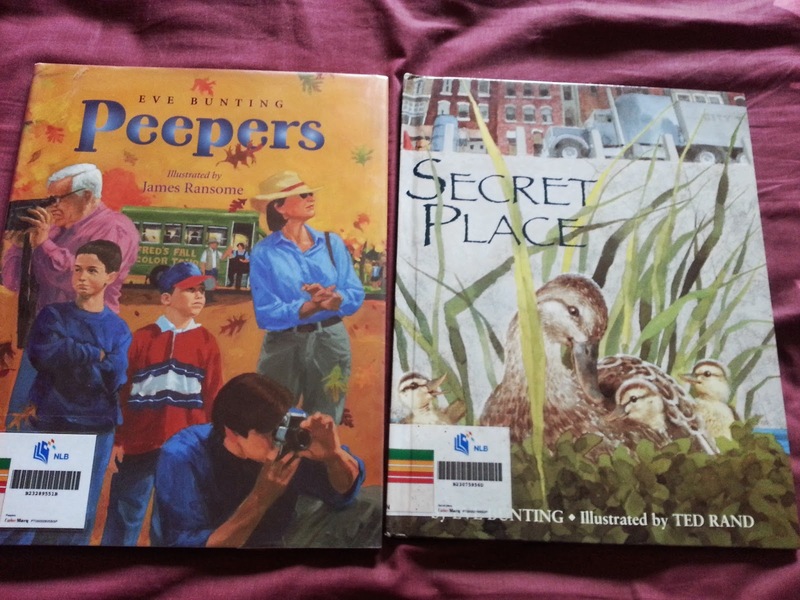 I had my very own picture book collection before I even started work proper, bought with allowance I made working at my aunt's friend's children's bookstore. Sadly, most of those picture books have been replaced by iPads and computer games in children's lives. 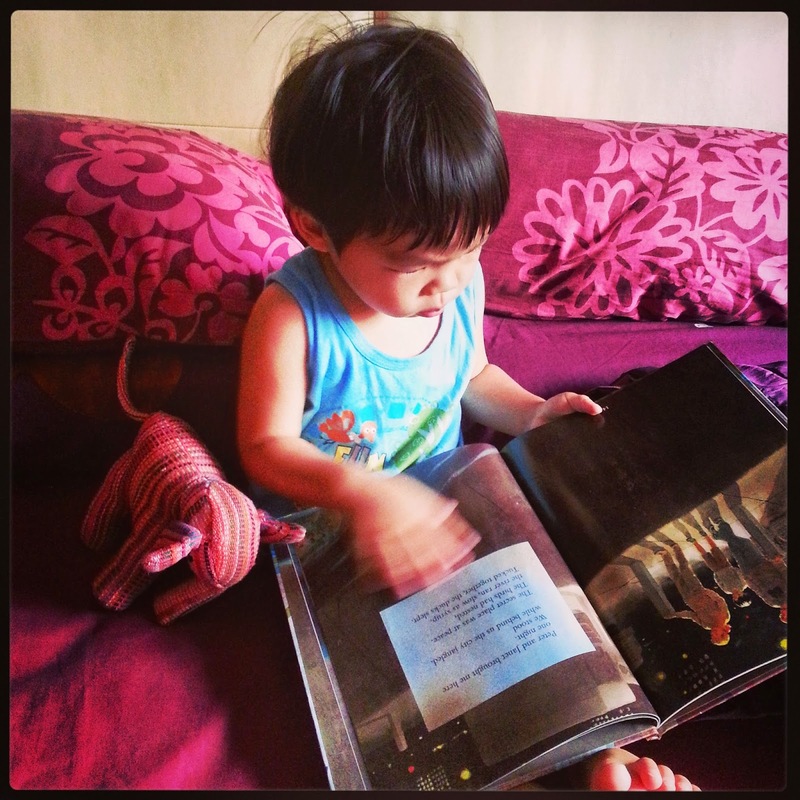 Picture books play such an important role in children's love for reading. For me, they opened up a whole world of people with different experiences from mine. I felt their pain and their joy. 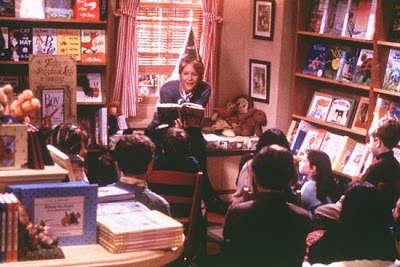 There is still much to be said about introducing quality books to children from as early as you can. But what makes a good children's book? Apart from having a good storyline and beautiful illustrations, I feel that a good picture book should be about people, places and issues which children can relate to. It should make children smile when they read it. It should draw their attention to what is going to happen next. It should be written with carefully chosen words, not belittling children's ability to understand words that they may not previously have heard of but would be more than willing to learn. My own personal take on the matter is that a good picture book should leave me with a broad smile on my face and a warm fuzzy feeling within for a long time after. Subjective, I know, but it has never failed me yet. Sad stories should leave a tear or two in my eyes. A good picture book should always touch the reader on an emotional level, as it deals with issues that are common to the rest of humanity. It should open a child's eyes to the rest of the world. For our unit on Apples, I think I got rather carried away, but there was no lack of books in the library on apple picking and the life cycle of an apple tree. Our favourites were the ones in the next few pictures. "One Green Apple" really impressed me. It is about an Arab girl, a young immigrant who cannot speak English and feels different from everyone else, until she goes apple picking at an orchard and not only discovers her voice, but also that her one green apple tastes perfect when it is pressed with the other red ones to make apple cider. In simple descriptions of emotions and sun-drenched illustrations of the children in the orchard, her point rings clear. Our boys loved the book so much we read it every night for almost two weeks straight. 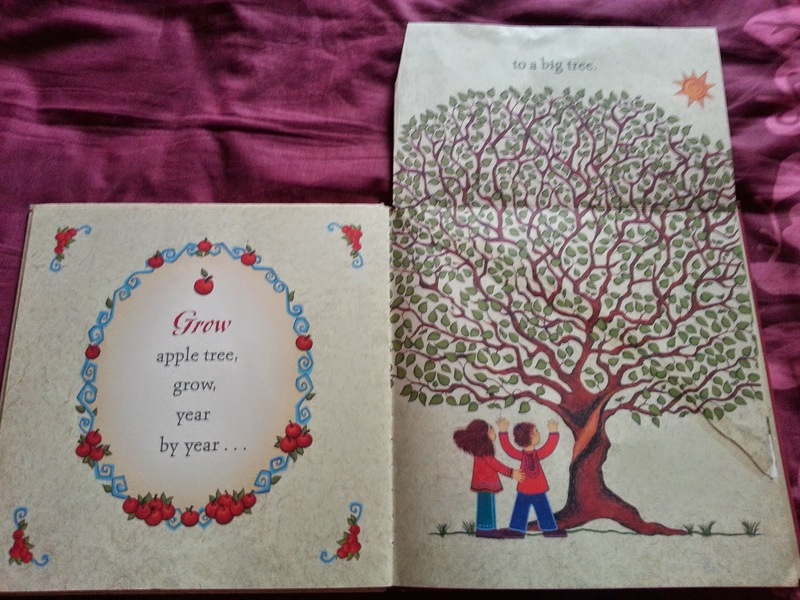 "One Red Apple" is a beautiful book with enchanting illustrations on the life cycle of an apple tree. I loved how parts of the book flipped outwards to reveal different sections of the tree. 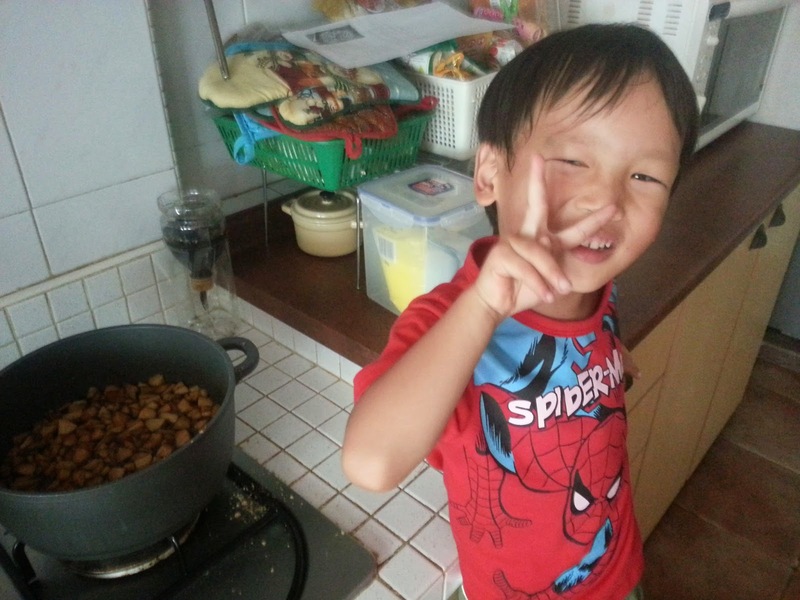 The younger one loved "Apple Pie ABC", a book about a cheeky dog who plots to steal his owner's apple pie. "Apple Picking Time" is a book that contains a slice of US history, and is about a girl Anna and her family as they help to bring in the apple harvest. We used it to look at the themes of perseverance and trying your best in whatever work you do. 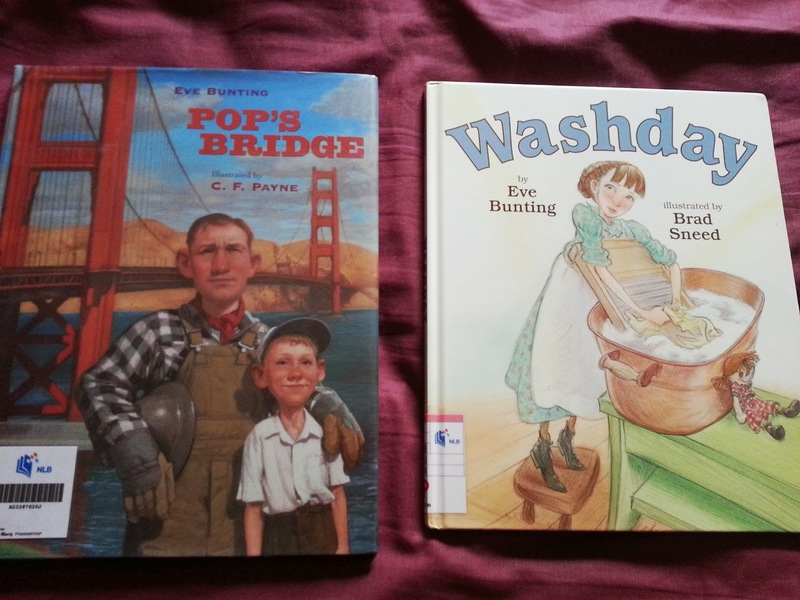 I also borrowed a few more books by Eve Bunting as the boys really liked "One Green Apple". I find her stories to be compelling, set in a particular time and place, and not afraid to address social issues such as prejudice and discrimination. She makes such issues tangible for children to grasp. Here are some of the other books we borrowed. As we read good picture books, we sometimes also like to do lesson extensions on them. 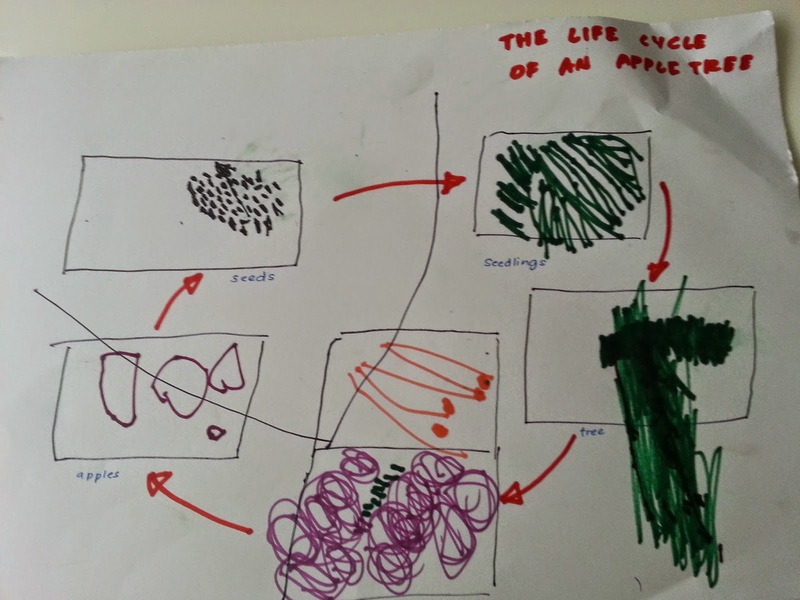 I was very pleased with the drawing that Z did on his own on the life of an apple tree, as I narrated the different stages to him and showed him photographs. 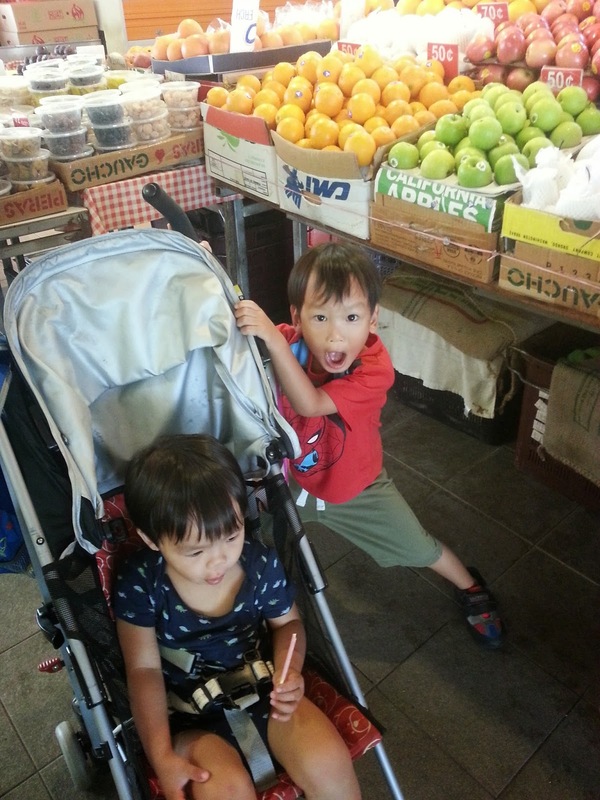 As another extension of the book, we also went on a trip to the market to see if we could find some apples! 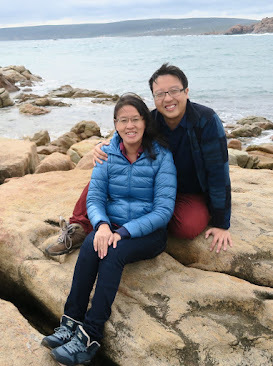 It was the next best thing to visiting an apple orchard, which is impossible in our part of the world. 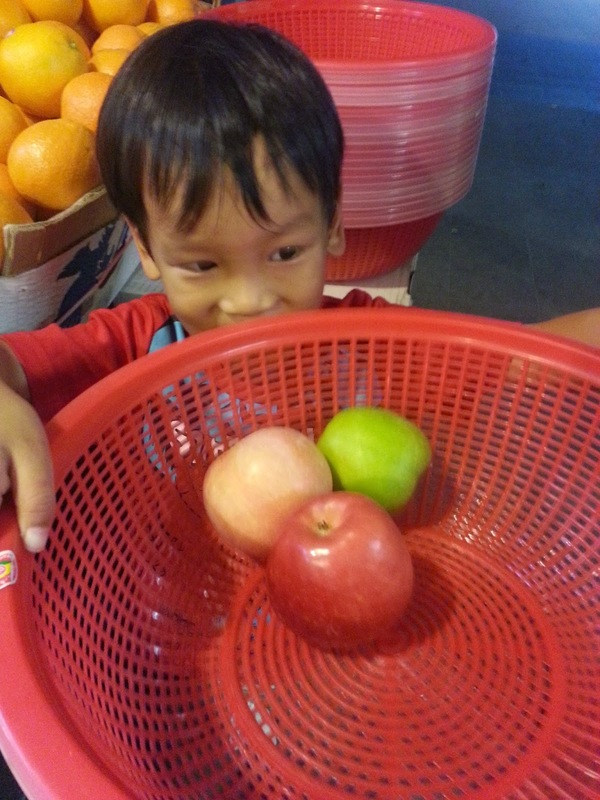 The boys had fun picking one apple of each variety from the fruit stall. It is amazing how many varieties of apples there are! 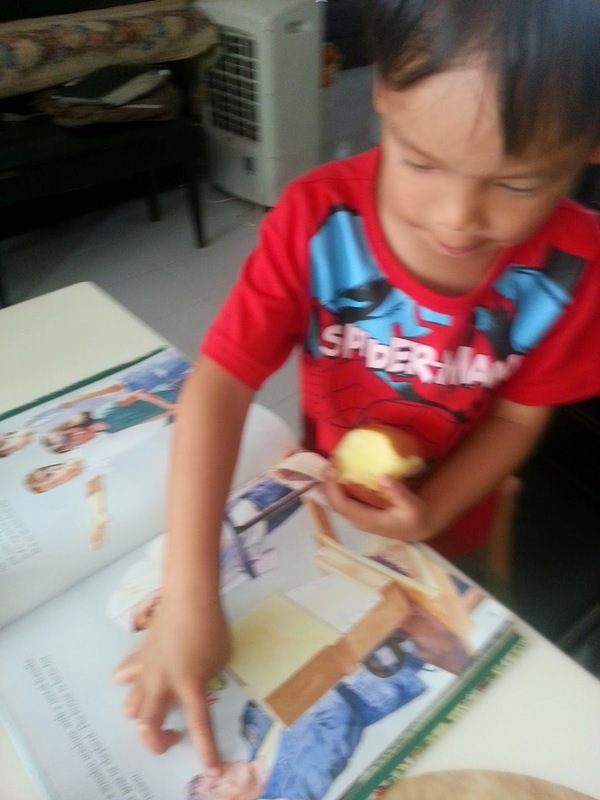 We ended our apple comparison with a discussion centred on the book. Who would dare to taste the green apple? Should we combine it with the other red ones when we made our apple jam, even if it was different from the rest? Why or why not? It was a unanimous vote to add the green apple into the mix. 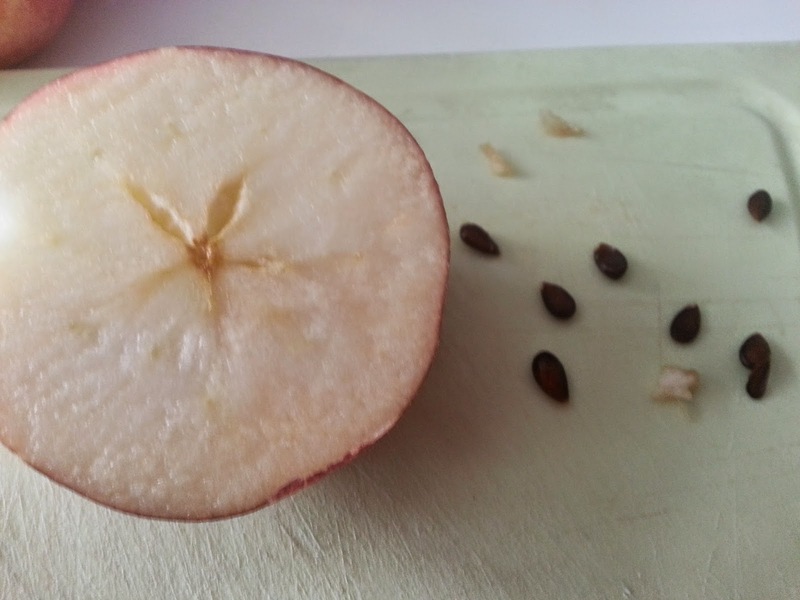 We got down to cutting our apples, revising the parts of an apple, and counting the seeds while admiring the star-shaped cross-sections. 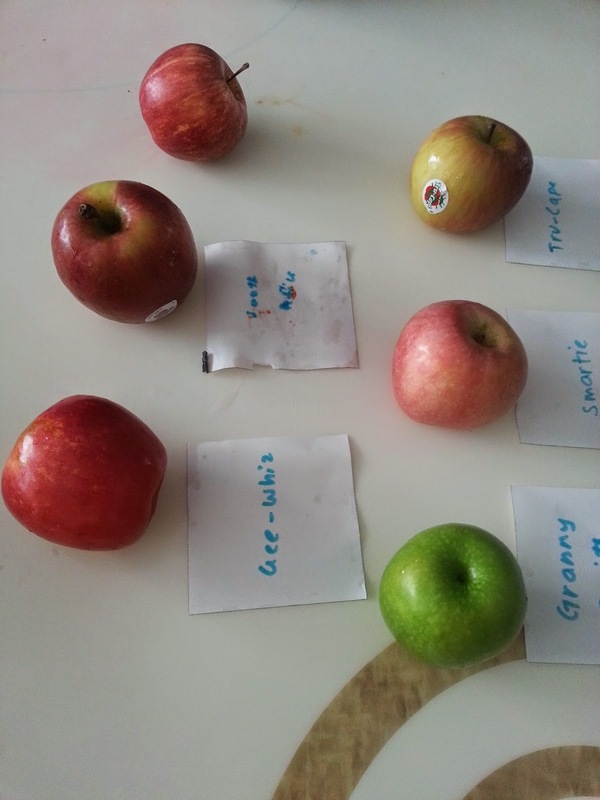 We were reminded that each of these seeds had the potential to grow into an apple tree. In the same way, God wants us to grow and bear much fruit for Him. 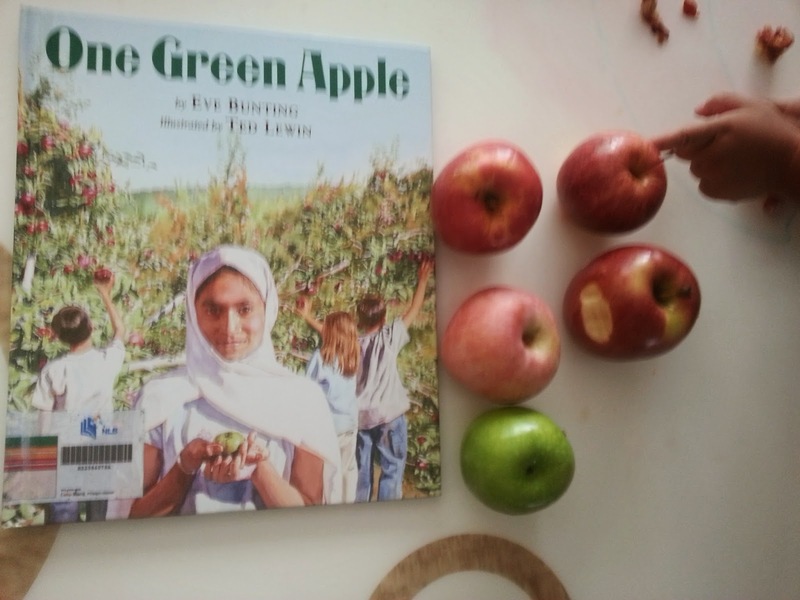 In the book, Farah and her friends get to place their apples into a juice press, and taste the delicious cider that flowed out. 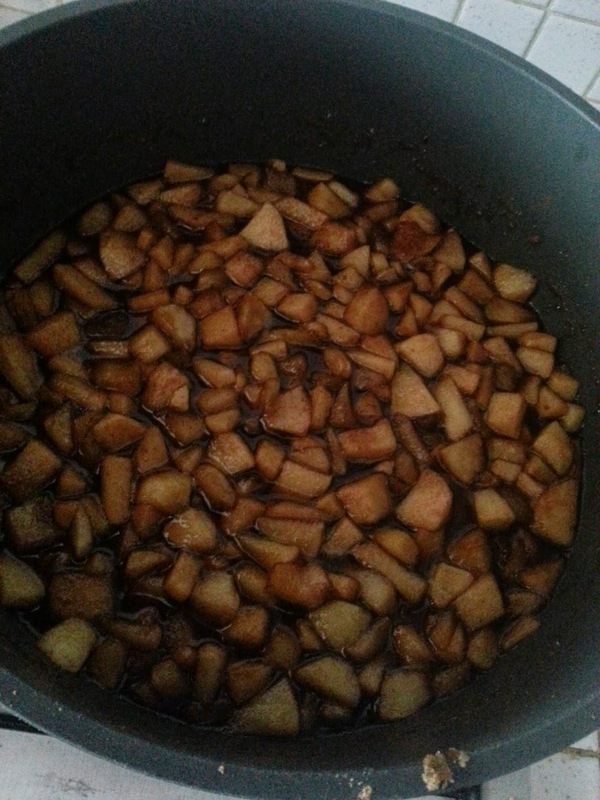 We didn't have a juicer, so we decided to make apple jam instead with our many varieties of apples. 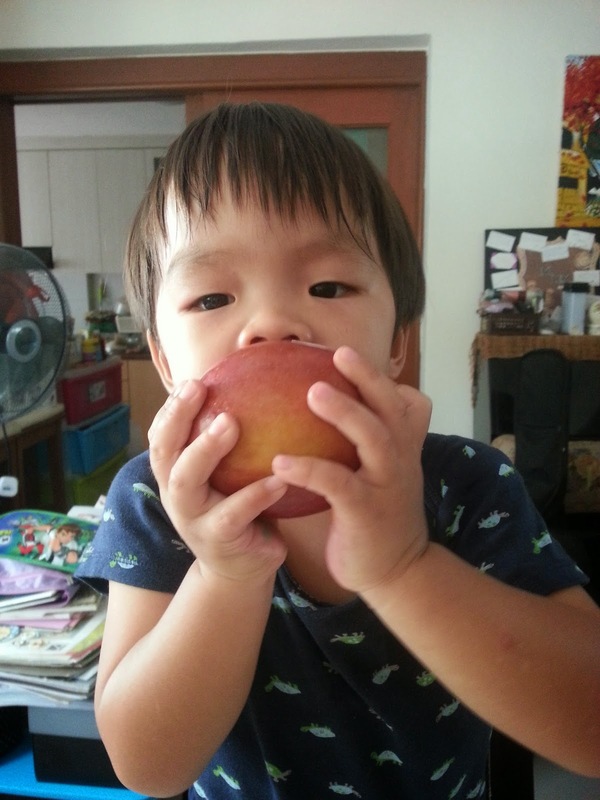 Could we taste the green apple? 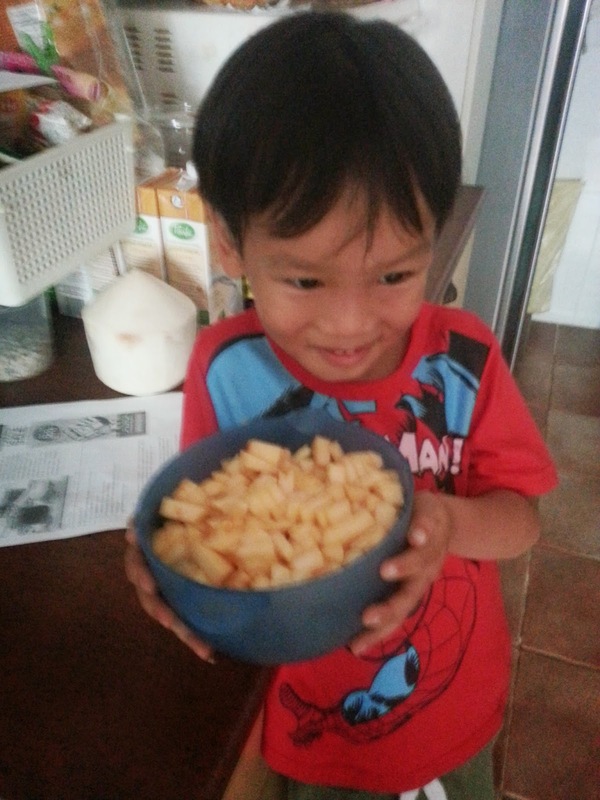 Farah said she thought she could taste her own special apple in the mix. We thought so too! The best way to eat apple jam - with a generous scoop of vanilla ice cream! The best fruit of reading this book was that the kids learned about differences, discrimination and accepting people who do not seem to look or act the same as them. It also brought back memories for them of our recent Australian trip, as they remembered the fruit orchards they had seen and the early buds of apple flowers on the bare winter branches, and the tractor that took them round the farm. I loved the simplicity and subtlety in the way the message was communicated. Truly one of those books which made me smile! 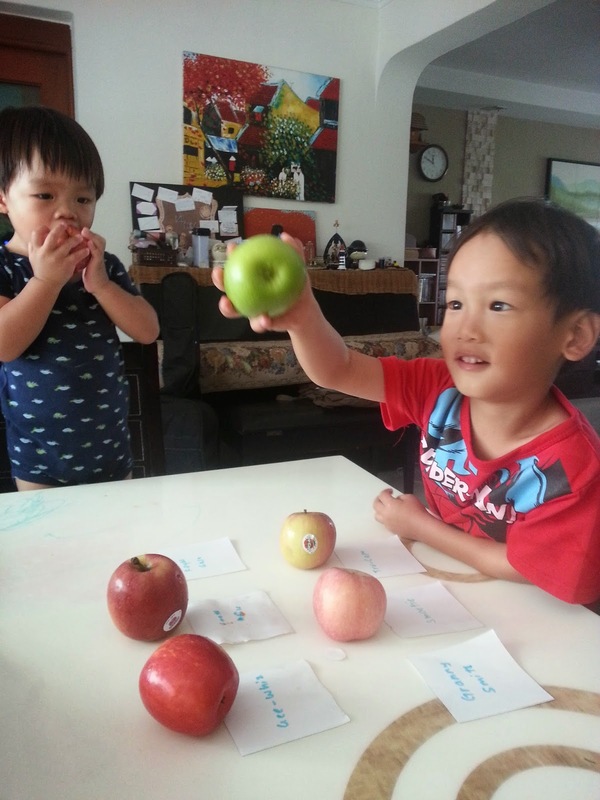 Read our earlier post on "A is for Apple", part of the My Father's World K curriculum.